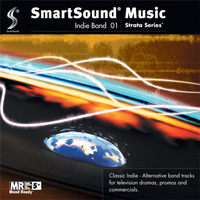 Bring that indie band sound to your next production with this eclectic mix of tracks. Modeled after the bands discovered by popular television dramas, these tunes will make your productions part of the Indie phenomenon. Features some interesting use of vocals.